Are these churches mostly Russian Orthodox? or Roman Catholic? There are very few Russian Orthodox churches in Romania as they belong to the minute Russian minority. 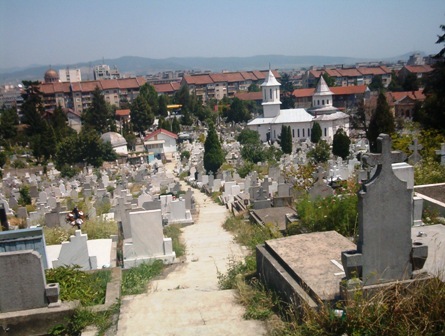 Most of the churches are Romanian Orthodox, as is the majority of the population (about 85%). Of the remainder, the two most important ones are Roman Catholic and Protestant (4-5% each), the rest being divided between many other denominations. There is some information on Wikipedia about religion in Romania, but I think Kevin gave you a nice summary of the situation. 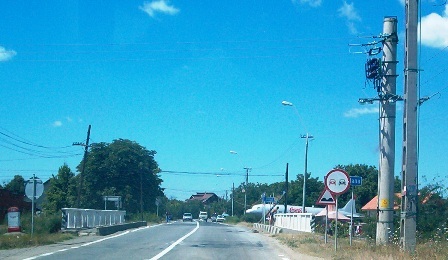 i for one, would be interested in seeing more photos of your beautiful country. I may suggest to start with the site of the National Tourist Office. 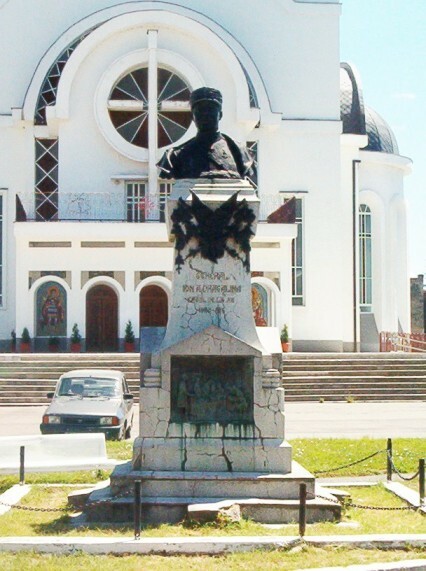 The following pictures were taken in the town of Lugoj, Timis County, the monument is that of: General Dragalina. Again, I apologise about the quality but the sun was against me! Making Plans from his sick bed! 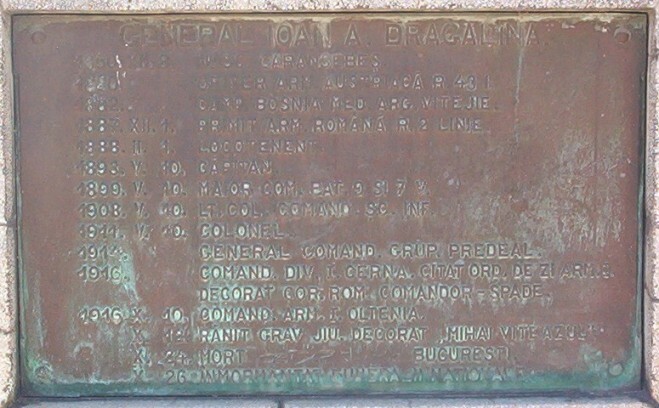 Side panel listing the Generals appointments. 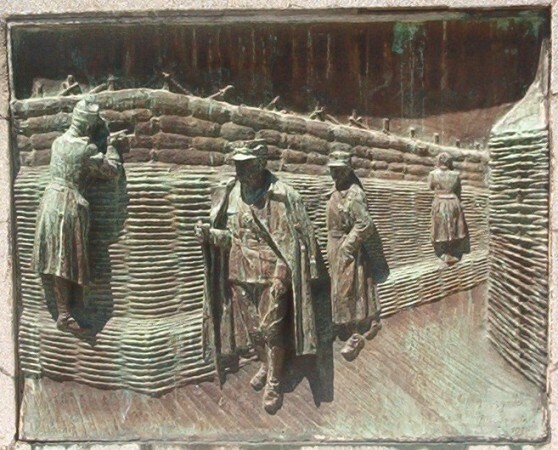 Rear Panel, interesting depiction of the General on an inspection in the trenches. The other side panel, interestingly some text was removed from the panel!!! I had to play around with the colour to get some idea of the face. 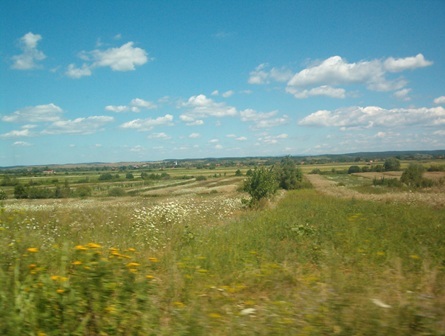 And the very beautiful countryside of Timis County, Western Romania. Of course you never know whats lying around the next corner!! 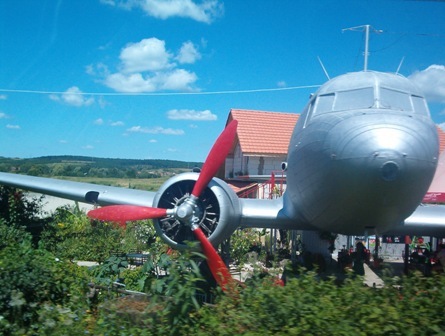 A DC-3 used as a roadside Resturant. Its got "Coke Light" painted on the fusalage!! 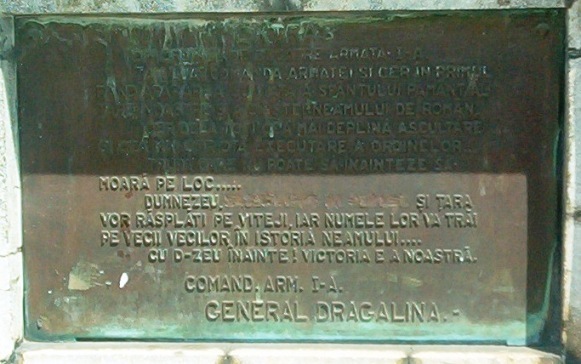 General Ioan Dragalina is one of the famous Romanian generals of WWI. Born in 1860 in Caransebeş, at that time in the Austrian Empire, he studied towards becoming an officer of the Austrian Army. However, following his convictions and ideals in 1887 he resigned from the Austrian Army, moved to Romania and joined the Romanian Army. 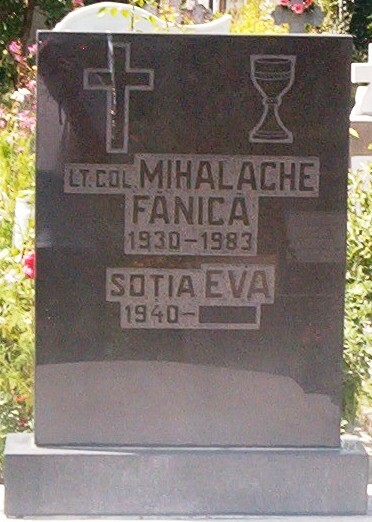 He was considered one of the most talented Romanian generals at the onset of WWI. Only two days after he was appointed commander of the 1st Army he went to the frontline to inspect the troops and was wounded in the arm. 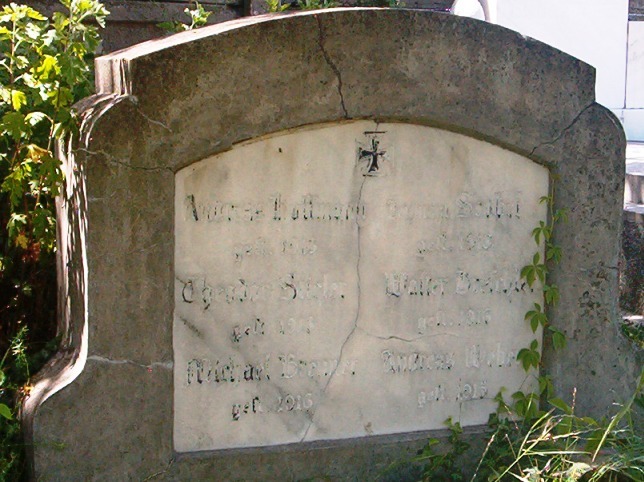 The wound got infected and in spite of being operated, he died two weeks later. 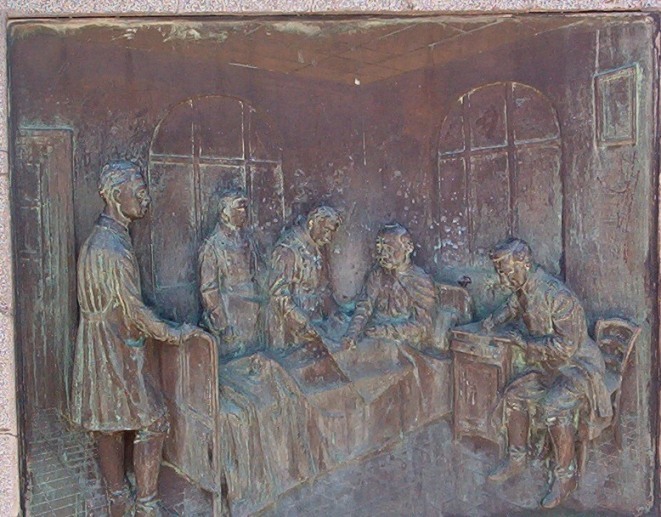 It is said that while in hospital he followed actively the operations of his troops engaged in a successful counteroffensive against the 11th Bavarian Division of General Paul von Kneussl. 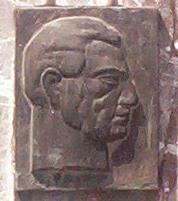 I guess the bas-reliefs on the monument represent him inspecting the frontline and following the operations while wounded in hospital. During WWII, his son Corneliu commanded the 6th Army Corps in Crimea and at Stalingrad. One the "nice" realities of communism: deleting history (remember "1984"? ). The removed words were Maiestatea Sa Regele (His Majesty the King). Dumnezeu, Maiestatea Sa Regele şi Ţara vor răsplati pe viteji, iar numele lor va trăi pe vecii vecilor ?n istoria neamului. Cu Dumnezeu ?nainte! Victoria e a noastră!" With God, forward! The victory is ours." 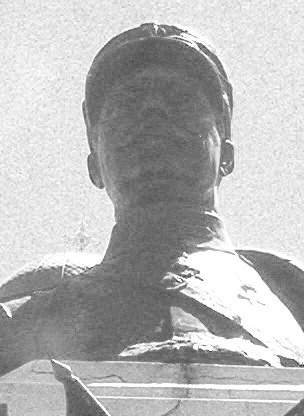 Can anyone identify the neck decoration of Gen. Dragalina? It does not look Romanian. Last week in the searing +38? 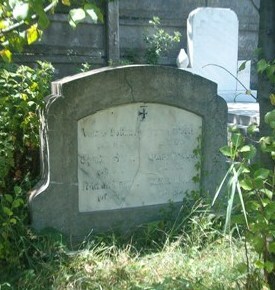 heat, I took a wander through the old Deva town Graveyard, this one I believe is for Catholics, in an older part of the cemetary amongst a lot of Hungarian Family Gravestones I found this one near a dividing wall. 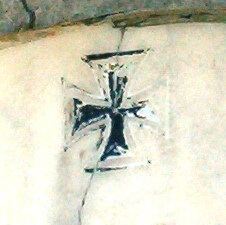 an Iron Cross on the upper part. There are six names on the marble tablet with dates between 1915 and 1916.
are looking down into the town of Deva. some from the Romanian Communist time and will post them. But this one really stood out, not sure if he was military but the Big Star and tablet are Bronze. 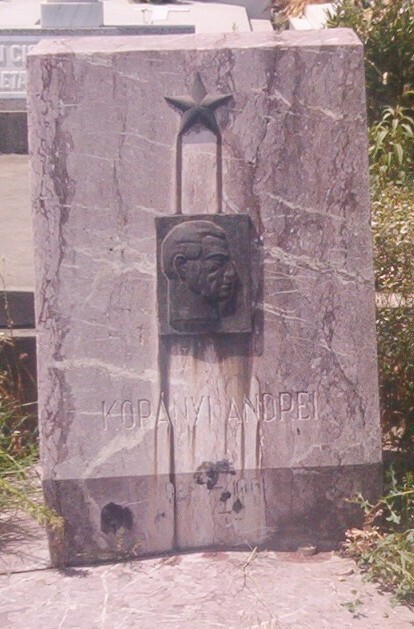 Close-up of the name: KOPANYI ANDPEI. By the way with regards the heat, these signs are posted on the monument of Decibal directing people to a Red Cross Aid Station for water and Blood preasure checks if they feel ill while out and about, so far Romania has suffered 30 heat related deaths in the last few weeks!!! 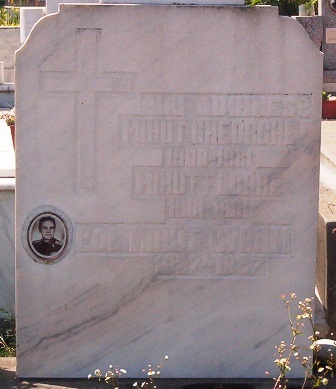 MIHUT GHORGHE 1900 - 1981.